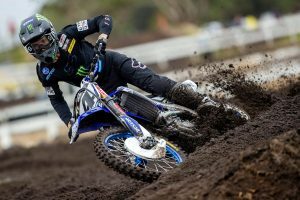 MX2 victor on his performance at Ranch MX's double-header MX Nationals. 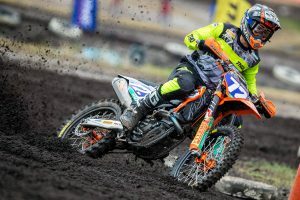 Popular New South Welshman Dylan Wills earned his maiden MX2 overall victory at the weekend’s Pirelli MX Nationals double-header, charging to a 2-1 scorecard in round eight’s back-to-back moto format. 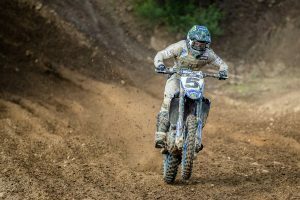 We caught up with the DPH Motorsport Husqvarna rider to get his thoughts on his Ranch MX performance. 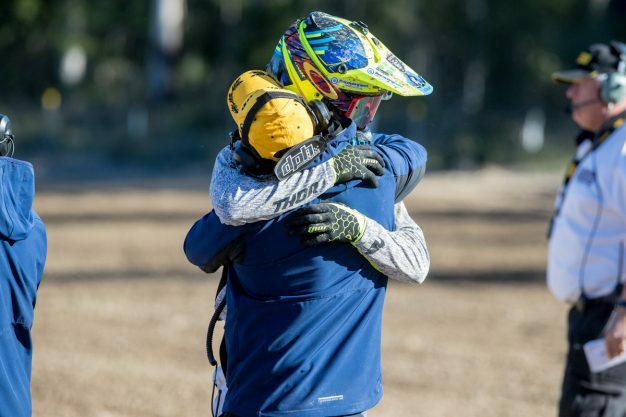 It was obviously an awesome weekend for yourself capturing your maiden MX2 overall victory, you must be stoked! It was good to finally get the monkey off my back! [A win] is what we work for every day – it was good to do it in good fashion too – being the quickest on the track and beating some fast guys straight up. The team and myself have been working really hard, so it was good to be rewarded with a win – it’s been a long time coming, but I finally got it done. Yeah, it was intense! I was looking for a way around Harwood for a while there, and it was tough trying to make a pass on the two-stroke – generally over the whole weekend I was working hard over the jumps and trying to get drive up the hill on the guys on four-strokes, but it wasn’t that easy on Harwood. I got the job done in the last corner, and that ultimately gave me the overall – I obviously had to go out and nail the next race and get the win, but without that pass, I wouldn’t have got it done. What was your mindset like after coming in from such a crazy race knowing that in five minutes you would have to do it all over again? In the heat of the moment, I was actually really calm. We didn’t know how it was going to go, but it was good in between races – we had our set-up, everyone had their job and everyone did exactly they needed to do. I just lined-up for the second race, and just thought ‘righto, lets keep my chest over the bars coming out of the gate and get to that first turn first and win’. Everyone was really calm, so it was a really good environment for the team and myself behind the gates. It was actually a lot easier than what I thought it was going to be mentally. It was good – I felt like that last race was the worst I rode all weekend – it just felt like the longest seven laps of my life! It was good to get out front and lead, it was definitely tough and I pumped up a bit – I haven’t done that for a long time. It’s good to get the monkey off my back, so hopefully we can go and get more good starts, lead more laps and win more races. Just lastly, what are your thoughts on the back-to-back format? At the start when I first heard about it, I was a bit unsure or uncertain on it. I think it actually worked pretty well – for the fans it was a bit different with the shorter races – at the start, everyone needs to go well leading into the second one. I think for the fans it’s exciting, and I know for us racing it was really exciting – I had to get Hardwood in that first one. I really liked it and I thought it was good.